Ta Van Village is a place where many Vietnam ethnic minority groups gathering and living in harmony with each other. 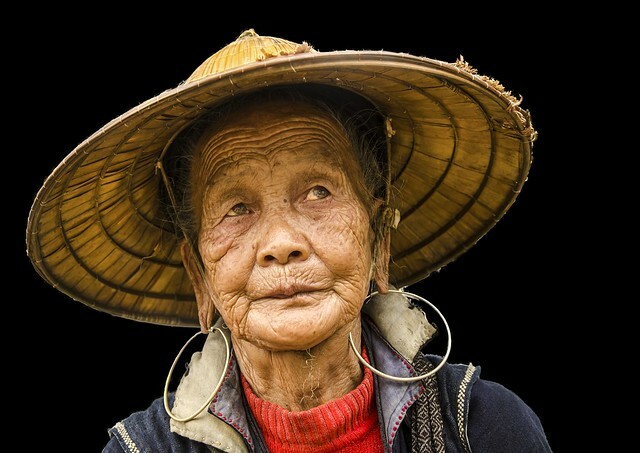 Having a trip to Ta Van, you can explore the cultures of ethnic minority groups and enjoy trips to peaceful villages where many traditional customs of ethnic people in Vietnam are well preserved. Is one of ideal destinations in Vietnam for both domestic and international tourists. 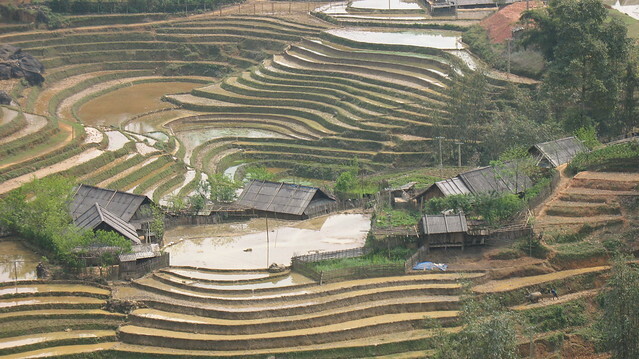 Being one of the most stunning spots in Sapa, far away from Sapa busy streets, about 8 km distance from the town center. Ta Van is home of ethnics living and you can find over 110 households living in this village. So the best way to enjoy is choose to stay overnight at the homestay in Ta Van village to fully experience. Is one of the Sapa day trips that you must do. The best choice it’s hire a guide to trek to Ta Van. But if you go during the summertime, you can rent out a scooter and get to Ta Van this way. It’s the best way to avoid the high temperatures in this season. Homewer, tt’s not impossible to do it in other seasons but it’s more dangerous due to slippery muddy road. 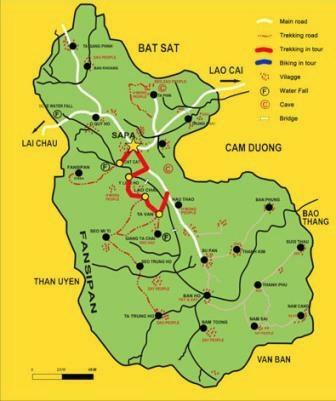 It was built a road for car; however, the trail from Y Linh Ho crossing Lao Chai to Ta Van is the best path to get the most amazing trek and it is definitely recommended. On your trip to Ta Van Village, along with dreamy beautiful Muong Hoa Valley which sometimes looks so magnetic and mysterious under the fog, you also have a chance to witness floating clouds atop of imposing Fansipan Peak. 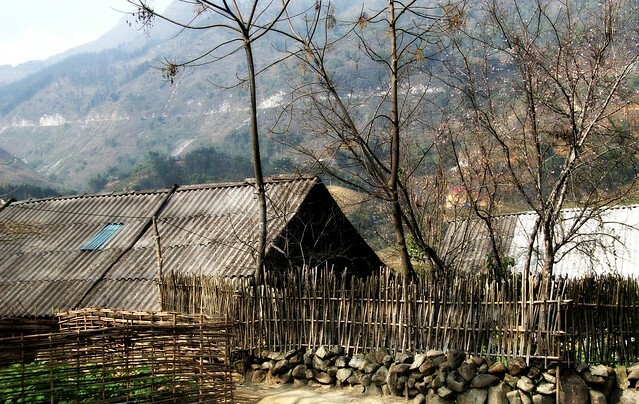 In Ta Van village, there are two major minorities groups: the Giay and the Dao. 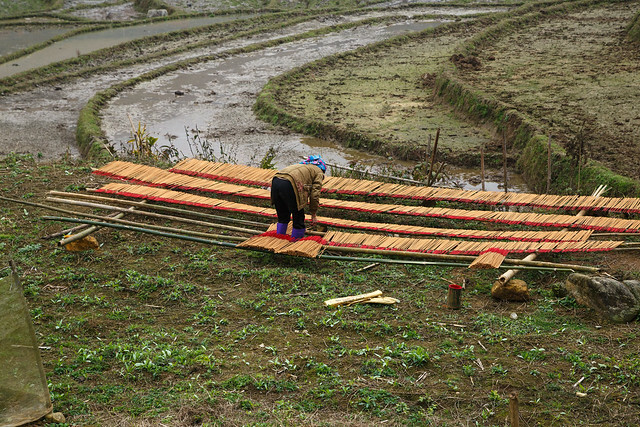 As soon as you cross over the wooden bridge through the Muong Hoa water stream, which connect Ta Van village to the outside, you’ll be able to meet the Giay community. A bit further up the hill is the Dao community. The people here make their living mainly based on farming and occasionally homestay services. 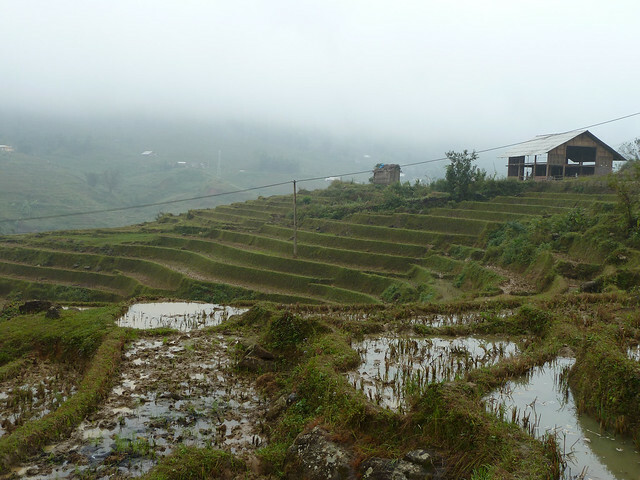 Ta Van Village was formed by a group of Giay people in Lao Cai province. These people settled in areas having low topography such as foothills and valleys along streams or rivers. Due to living in the same residential locality, in the course of history, Giay people have exchanged and under the influence of different cultures from other ethnic groups such as Tay, Thai, Nung. This intercultural phenomenon has greatly contributed in creating a diverse culture in the village. Ta Van Village has a diverse system of folklore including fairy tales, riddles, and proverbs. This is also a place of many traditional festivals such as Tet holidays in January and July, full moon festivals in May and August, etc. The month of October (according to the Lunar calendar, which often falls in mid-November or December depending on the lunar year) rolls around would mean the wedding season for the Giay community. If you ever visit the village during this period of time, be prepared to be fascinated with the Giay traditional wedding customs which involves a lot of dancing, singing and loud instruments playing. Although Giay people mainly make a living by rice cultivation and silver carvings, they also open homestay services to serve the needs of tourists when travelling the village. Homestay is a kind of a special tourism service in Ta Van Village in which tourists will live with local residents in their house. Arriving in the village, many tidy and clean houses hang a signboard “Homestay”, which are always ready to welcome tourists. Using this service may be a memorable experience of tourists because you will have a chance to experience daily activities with Giay people. In these days, Giay people will serve tourists traditional dishes that they often eat every day. The ingredients of these foods are homemade products made by local people such as fresh vegetables, chicken, pigs, fishes, etc. Although these are very popular ingredients, through a special process of cooking, it promises to leave visitors a long lasting impression. In addition, through such a simple meal, tourists may gradually feel the familiar and close connection with local people here. In the next days, tourists will also be served some specialties of Giay people like grilled fishes caught from Muong Hum stream, Muong Khuong horsemeat, Bac Ha pork meat, Van Ban five color glutinous rice, and so on. Life in Ta Van Village doesn’t get much affected by the booming tourism service in the recent year. The minorities group would go on with their everyday activities as if nothing has happened. Some seldomly get shy to start the conversation with the tourists, making the homestay services in Ta Van special. You get to truly enjoy a day as a part of the real minority group. Houses here are built along the slope of the rice paddy terrace fields, and are made out of wood entirely. The view from these houses is simply stunning. Anyone who decides to stay overnight here will be speechless to wake up with such an amazing view, a view that you won’t never ever see in your daily city life. Despite the fact that electricity has been in the village for less than the decade, the people here doesn’t heavily rely on it. They go farming at dawn, and get back home at sunset. The village can actually get really quiet during the day, and becomes exceedingly crowded with all sort of entertaining at night. The people in Ta Van Village would gather together and do their usual nightly musical show routine to celebrate a whole day of hard working. There will be traditional fan dancing, bamboo dancing, multi bamboo flute dancing, etc., all are dancing around the huge camp fire. you will not need to worry about the facilities because the locals equip with essential appliances and devices so that it will be always convenient and efficient for you taking a relaxation after a long-day trip.